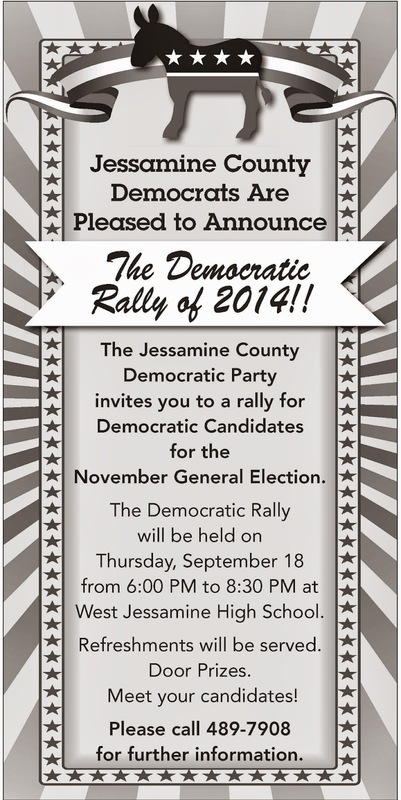 On Thursday, September 18, 2014, Jessamine Democrats will rally for victory at West Jessamine High School from 6:00 PM to 8:30 PM. 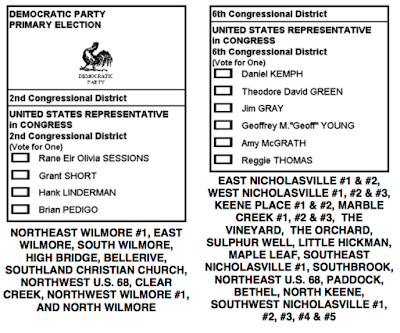 Refreshments will be served and there will be door prizes. Help spread the word and be sure to mark your calendars for this big event! You can help spread the word on facebook, too!